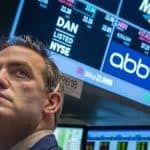 (Reuters) – Nabriva Therapeutics Plc’s antibiotic drug to treat a common form of pneumonia met the main goal of a key clinical trial, but concerns over its side effects sent the drug developer’s shares down 13 percent on Monday. In a late-stage study, 45 of 370 patients taking Nabriva’s drug suffered from diarrhea, compared with only four cases in patients who took moxifloxacin, a commonly used antibiotic for pneumonia. There were also several more cases of nausea and vomiting in patients taking Nabriva’s drug, lefamulin, compared with those taking moxifloxacin. Still, the study showed that lefamulin was just as effective as moxifloxacin in treating community-acquired bacterial pneumonia. Shares of Ireland-headquartered Nabriva rose more than 20 percent on Monday morning, but reversed course and fell as much as 14 percent to $4.67 by midday. The decline likely reflected investors’ focus on the gastrointestinal side effects of the drug, said Wedbush analyst Robert Driscoll. “Given that none of (the diarrhea cases) were serious, and lasted more than a couple of days, I don’t think that’s a big deal,” he said, noting such side effects were common with antibiotics and that it would not affect how doctors prescribed lefamulin. Because lefamulin belongs to a new class of medicines which prevents the growth of a protein that helps bacteria grow, the drug could be effective in combating “superbugs,” or bacteria that are increasingly resistant to older antibiotics. Lefamulin is also Nabriva’s lead experimental treatment and has already succeeded in another late-stage study in CABP patients last September. The company plans to file for marketing approval of lefamulin with the U.S. Food and Drug Administration in the fourth quarter of the year. “We are one step closer to potentially making a much-needed new class of antibiotics available to patients and health care providers,” Nabriva Chief Medical Officer Jennifer Schranz said in a statement. Lefamulin could rake in peak sales of $684 million, SunTrust analysts estimated earlier this month. Pneumonia is the leading cause of infection-related deaths in the United States, and the second leading cause of hospitalizations in the country, according to Nabriva.